Cutting the ribbon at Liberty Landing. Concern for Independent Living opened a magnificent new supportive housing development, Liberty Landing, in Ronkonkoma on October 26th. 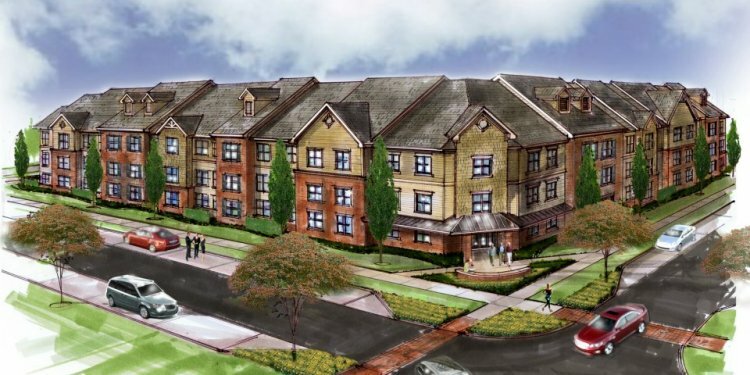 The 59-unit supportive housing development houses 30 formerly homeless veterans, and offers the other 28 units as affordable housing for low income Long Island families, many of whom are also veterans. There are 40 one-bedroom apartments, 15 two-bedroom apartments, and 3 three-bedroom apartments, as well as one unit for the superintendent. Liberty Landing is beautifully landscaped with trees, flowering bushes, and well-manicured lawns around each unit. Residents have access to a spacious and welcoming community building with an exercise room, a computer room and a room for community gatherings. In addition, the grounds offer many opportunities for recreational activities, such as basketball and bocce. The grand opening ceremony began with raising the American and military services’ flags over Liberty Landing, and the Pledge of Allegiance. Concern’s Executive Director and Network Board Member and Treasurer Ralph Fasano graciously welcomed the crowd. Other dignitaries who spoke included: Senator Thomas D. Croci; Assemblyman Al Graf; Suffolk County Executive Steve Bellone; Supervisor of the Town of Brookhaven Edward Romaine; National Equity Fund’s Tony Thesing; Community Preservation Corporation’s Michael Skrebutenas; and Bank of America’s Maurice Coleman. Funding for Liberty Landing came from the New York State Office of Mental Health; New York State Homes and Community Renewal; the New York State Office of Temporary and Disability Assistance; Suffolk County and The Home Depot Foundation. A construction loan was provided by Bank of America with the permanent financing to be provided by The Community Preservation Corporation. Onsite services are provided by Concern and are funded by NYS Office of Mental Health. The syndicator is National Equity Fund, the architect is DeLaCour, Ferrara & Church, and the contractor is Jobco, Inc.